3. The control panel meets the safety requirements easy to operate. 4. Arm type ATC with 24 tool capacity. 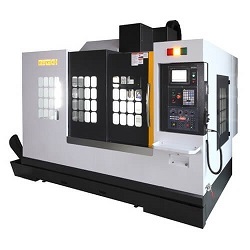 Fast and reliable roller gear cam ATC allows ATC time in 1.5 second, the machining efficiency. 5. Full guard with a guard on the topper to preventing oil mist pollution. 6. Opening the front door and two side windows during machining will cause an emergency stop and ensures the operator's safety.